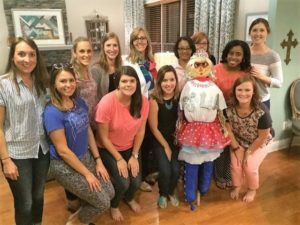 When joining The Junior League of Atlanta, our members are given the chance to create their own path within the organization. We not only provide a wide range of volunteer opportunities through our community partners and within the League, itself, but we also strive to serve as a training platform for our members. The Junior League of Atlanta is a place where our members can serve the Atlanta community, gather leadership skills and feel empowered. We hope to provide a foundation or stepping stone for the growth of each member as they take their experiences and learnings and apply them in their daily lives, careers and out in the community. If this sounds like a fit for you, we hope you will consider joining The Junior League of Atlanta. UPCOMING EVENTS: Join us for Prospective Member Information Events, held at JLA headquarters. Register for a Prospective Member Open House here.